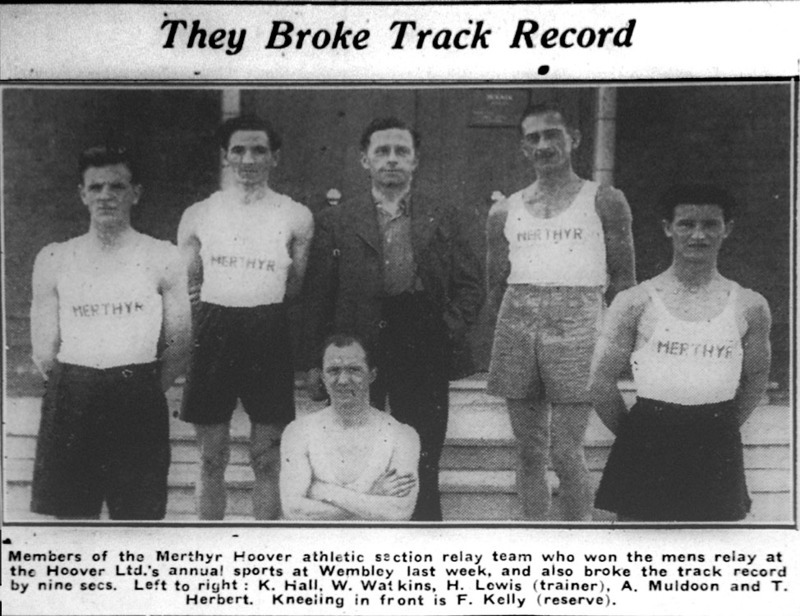 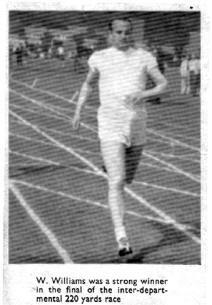 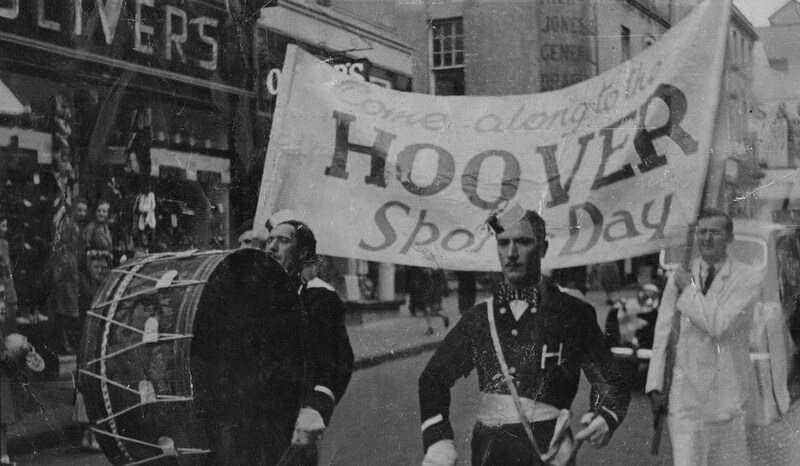 Hoover Athletic Relay Team, 1949. 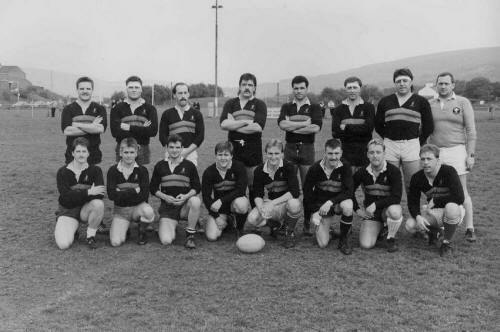 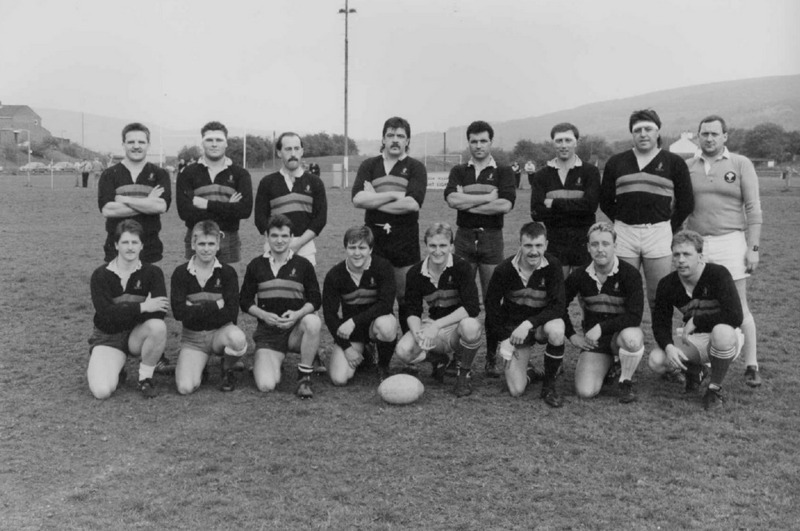 Back Row L-R :- ?, ?, ?, ?, ?, ?, Mike Mahony, ?, ?, ? 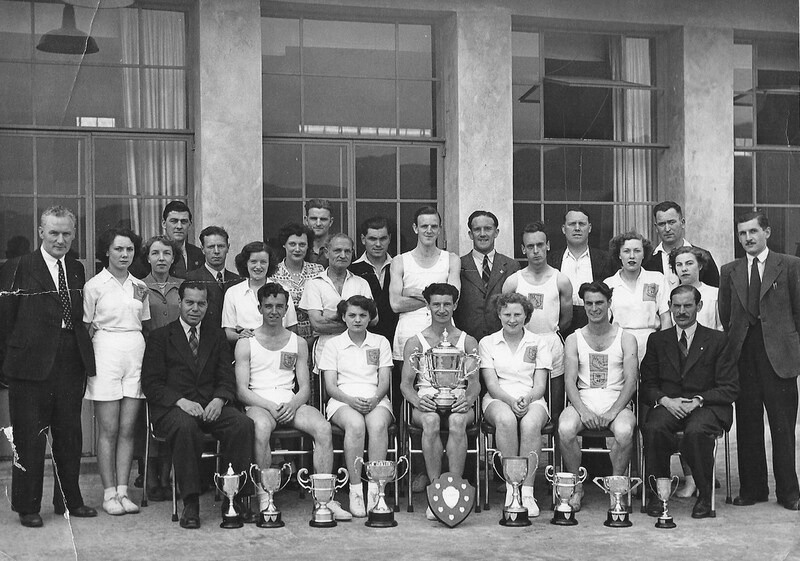 Front Row (Sitting) L-R :- ?, ? 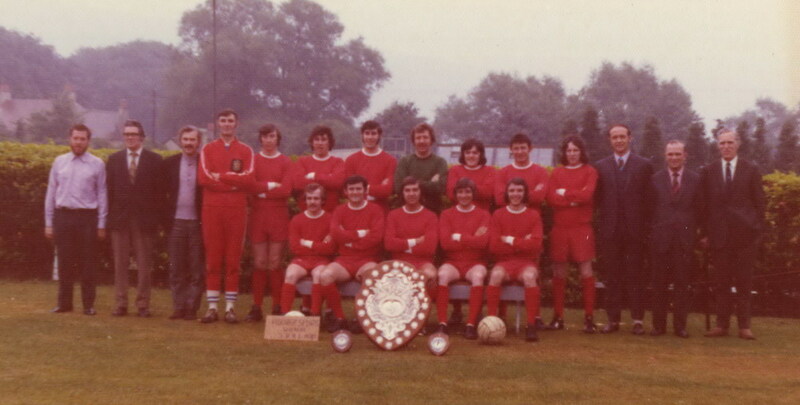 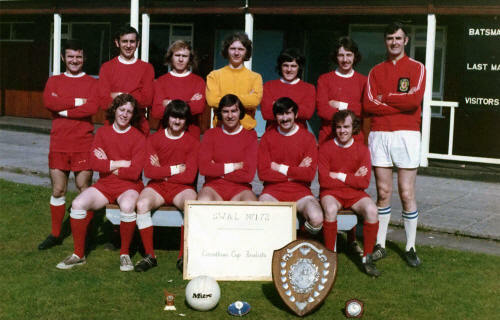 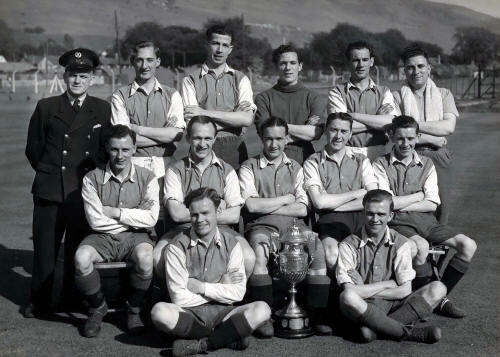 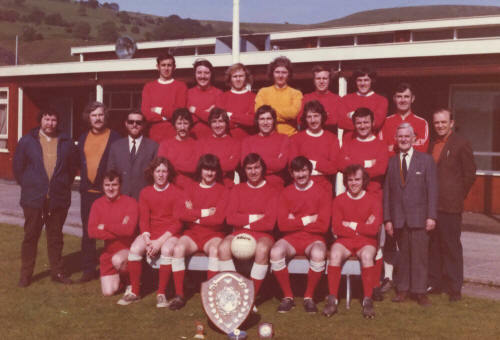 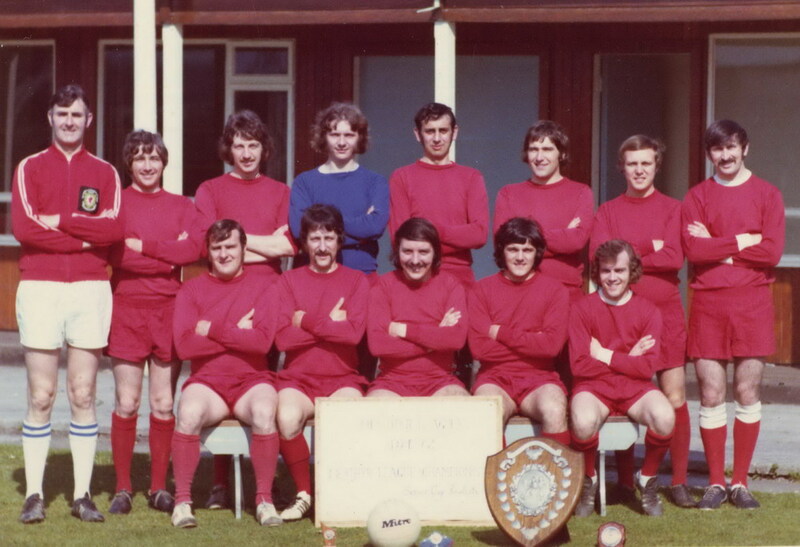 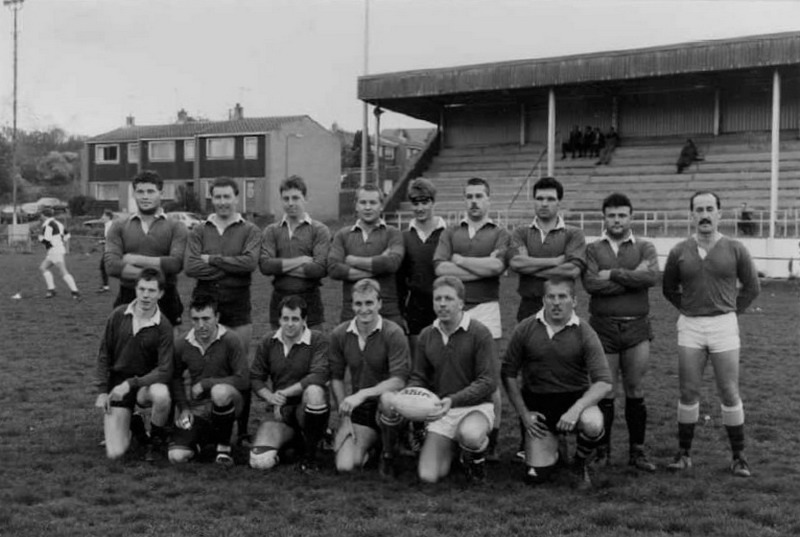 Back Row L-R :- ?, Glyn ?, Danny Geralch, ?, ? ,? 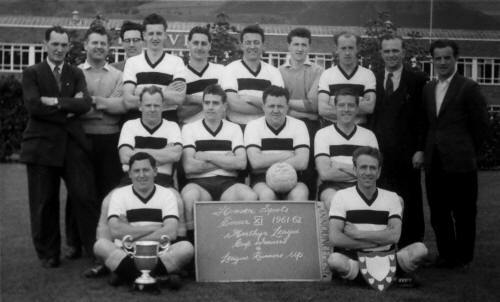 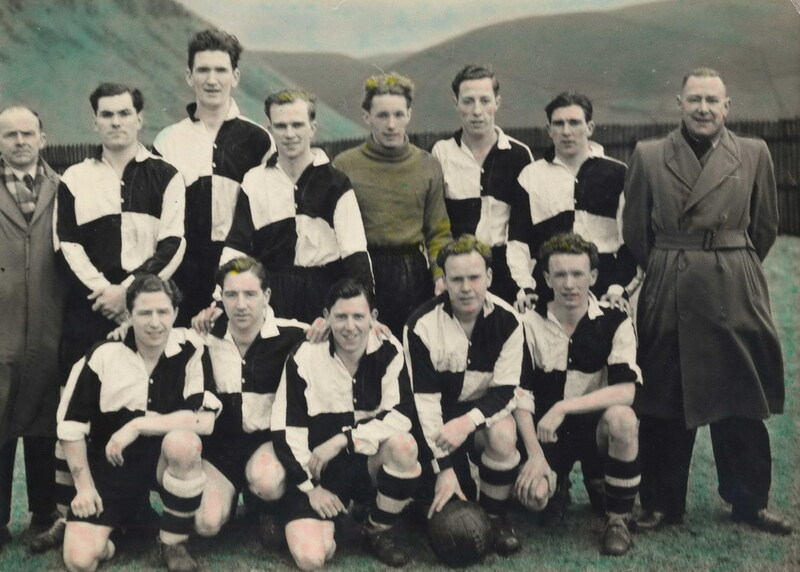 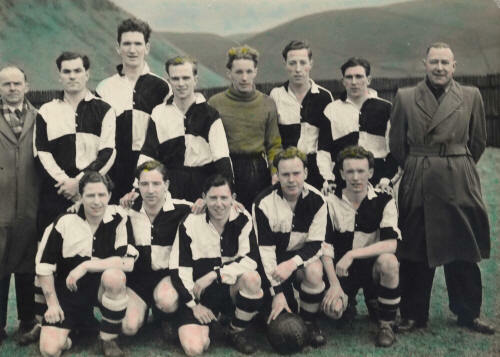 Middle Row L-R :- ?, ?, Randell ?, Illtyd Williams, ? 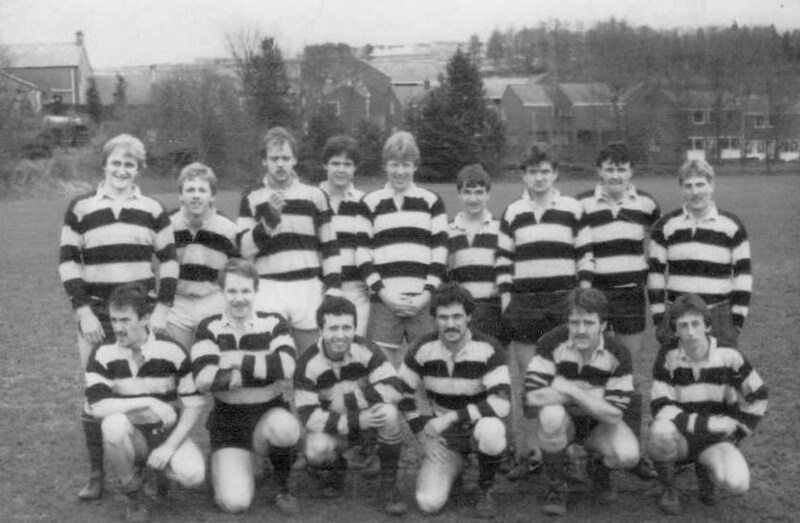 Back Row L-R: Paul Lewis, Jason Foley, Nigel Williams, Rob Connells, Karl Green, Robert Gould and Gary Jenkins. 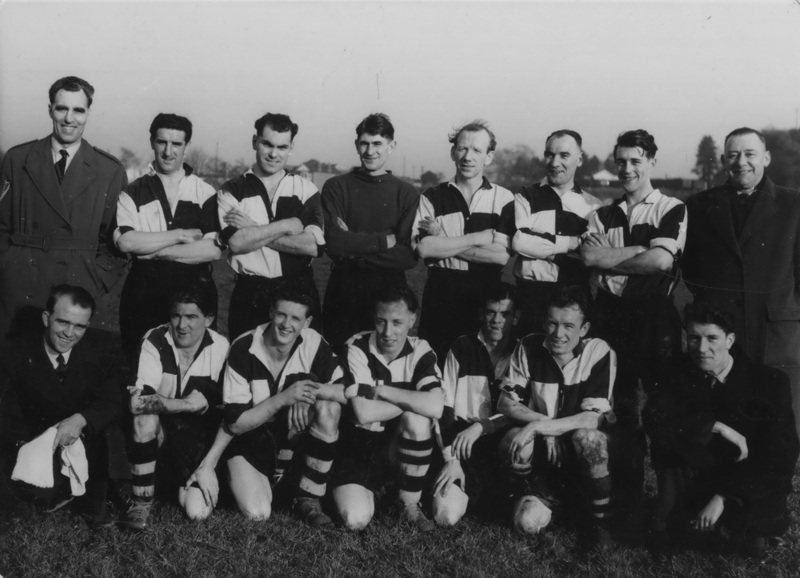 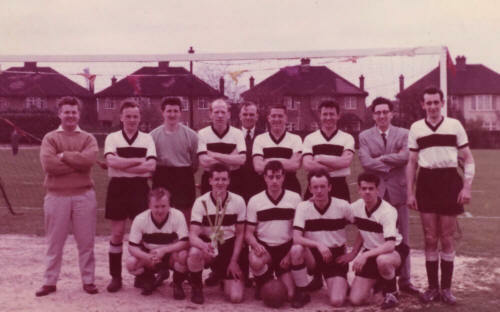 Back Row L-R: J. Foley, R. Gould, G. Evans, R. Sullivan, ?, I. Moseley, K. Green, J. Gardiner and N. Williams. Front Row L-R: G. Griffiths, N. Chamberlain, M. Evans, D. Edwards, K. Jones and C. Morgan. The W. J. Williams Challenge Cup, Hoover Perivale V Hoover Merthyr. 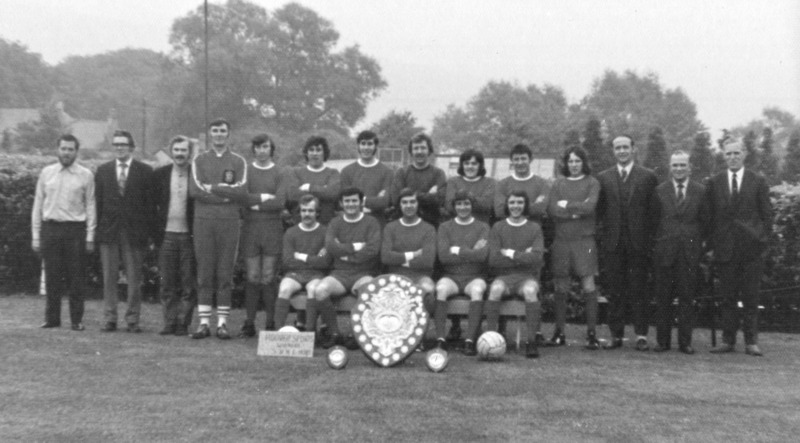 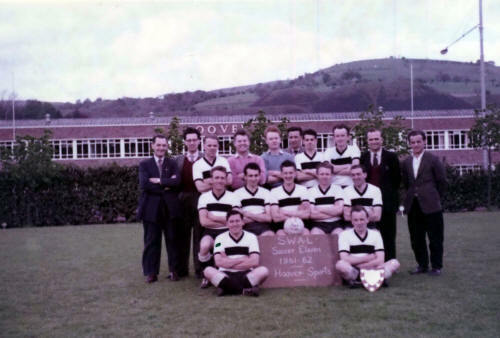 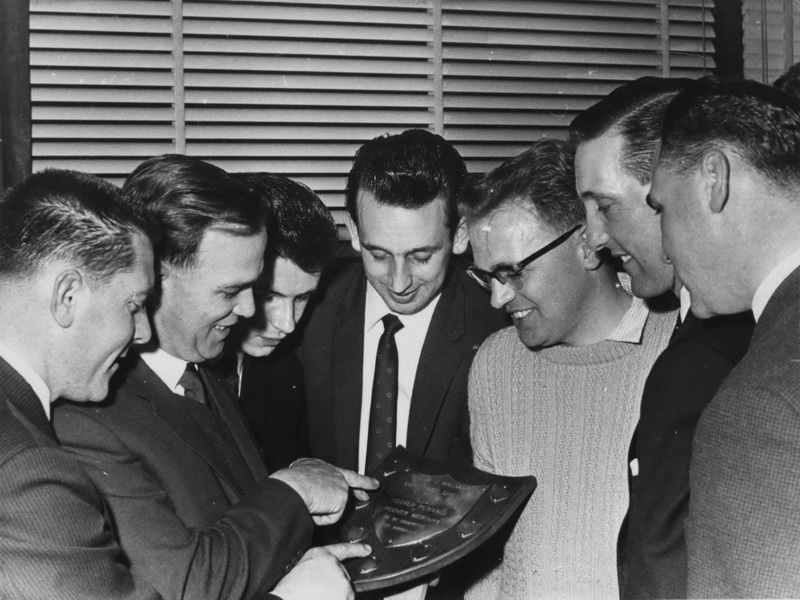 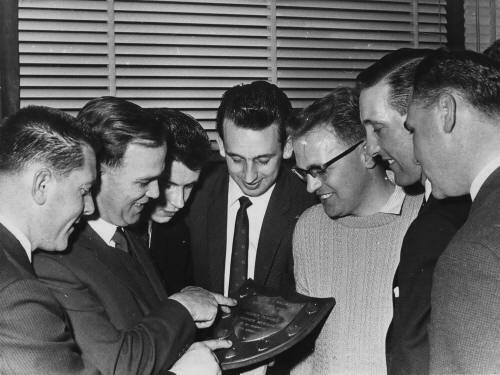 L-R:- John Aris, Bill Williams, ?, Pinto Davies, ?, ?, ?.